Around the world, the notion of 'the Dutch landscape' still evokes an image that is strongly influenced by the painterly tradition of unspoilt and idyllic farmland. However, like many other countries, the Netherlands has altered radically over the last century. Agriculture is being supplanted by suburbs, infrastructure for the sake of mobility, and recreation. The Netherlands currently enjoys international renown for its acuity in planning and radically high-tech methods used to control and mould the landscape and nature: water management, engineering technologies for spraying pancake-like layers of sand to drastically reshape or actually create land and computer-controlled horticulture in greenhouses. 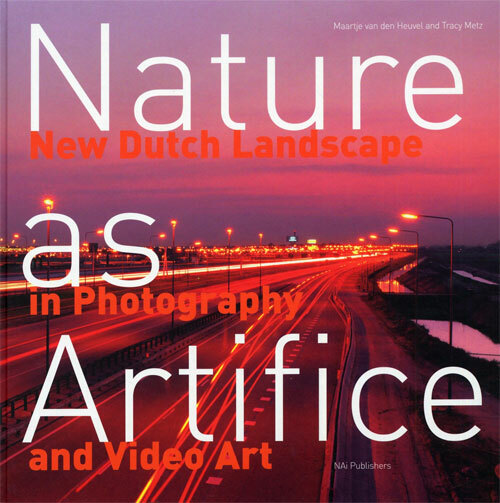 Since the 1980s, a number of outstanding landscape photographers and video artists have been taking this artificial character of the Dutch landscape and nature as their creative point of departure. Their works of art capture motorways, railways and the recently created landscape of symmetrical polders, glasshouses, business parks and suburban residential districts. At the same time they are searching for a new aesthetic that is no longer based on that of bucolic Old Master paintings. Several of these photographers and artists are already establishing a reputation in the Netherlands and abroad. 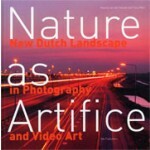 Nature as Artifice brings them together for the first time, lending their work greater visibility abroad, positioning it in the context of international developments in contemporary art and photography, and simultaneously contributing to new perceptions of the Dutch landscape. Includes work by Hans Aarsman, Jannes Linders, Wout Berger, Henze Boekhout, Edwin Zwakman, Theo Baart, Cary Markerink, Hans van der Meer, Marnix Goossens, Driessens/Verstappen, Hans Werlemann, Gert Jan Kocken, Bas Princen, Gábor Ösz, Gerco de Ruijter, Frank van der Salm, Xavier Ribas and Arnoud Holleman.